Here’s a punch of color to end the month of February with! I’ve been in a black and white mood lately and I sense a lot more black and white images coming soon, but first a little color. We have a corner in our living room that is lit with two large red floodlights that we lovingly refer to as the red light district. I love the mood that colored lighting gives a room, and the red light is matched with the warm light of our fire place. It really makes for a cozy corner of the house. 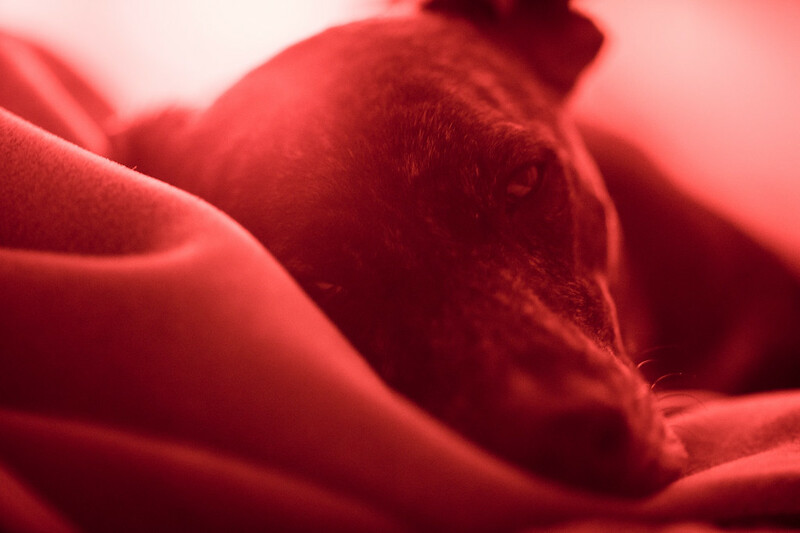 That’s probably why our pup Sala loves to lounge around in the red light district, basking in the warmth of the fire. I’m drawn to the light as well and love to photograph it. It’s amazing that I spend all day every day thinking about photography but can’t ever seem to get enough.